We’re pleased to introduce our 2016 travel medicine scholars! Dr. Meng Jing (Angeline) of Chengdu, China and Dr. Liu Chunfang (Kathleen) of Shenzhen, China will be studying and training with Professor Lynn Soong at the University of Texas Medical Branch (UTMB) in Galveston, Texas. Both Angeline and Kathleen work at international travel healthcare centres providing pre- and post-travel services to travellers, students, and workers. The 8-week course in tropical medicine, travel medicine, and global health begins this week. Angeline and Kathleen will have the opportunity to learn about complex global health challenges through clinical and laboratory observations and in-depth discussions with other health profession students and physicians. This is the second year that UTMB has hosted IAMAT scholars. 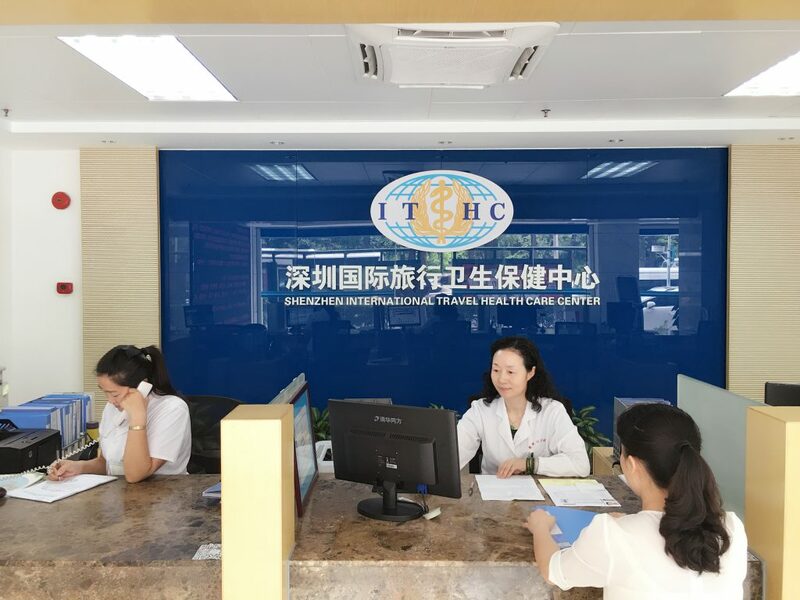 Kathleen during a travel consultation at the Shenzhen International Travel Healthcare Center. Angeline lecturing at the training course for the International Society of Travel Medicine (ISTM) Certificate in Travel Health exam. Dr. Ahmad Mosad Ibraheem of Mansoura, Egypt will be attending a travel medicine course offered by the South African Society of Travel Medicine (SASTM). Ahmad is an Emergency Fellow physician at Mansoura International Hospital in Egypt. The course takes place in Johannesburg, South Africa from May 18-22. It covers key topics for travel medicine practitioners, including vaccination, Malaria prophylaxis, travel insurance, and setting up a travel health clinic. Successful scholars get a certificate from the University of the Witwatersrand. We wish Angeline, Ahmad, and Kathleen the best of luck with their studies! 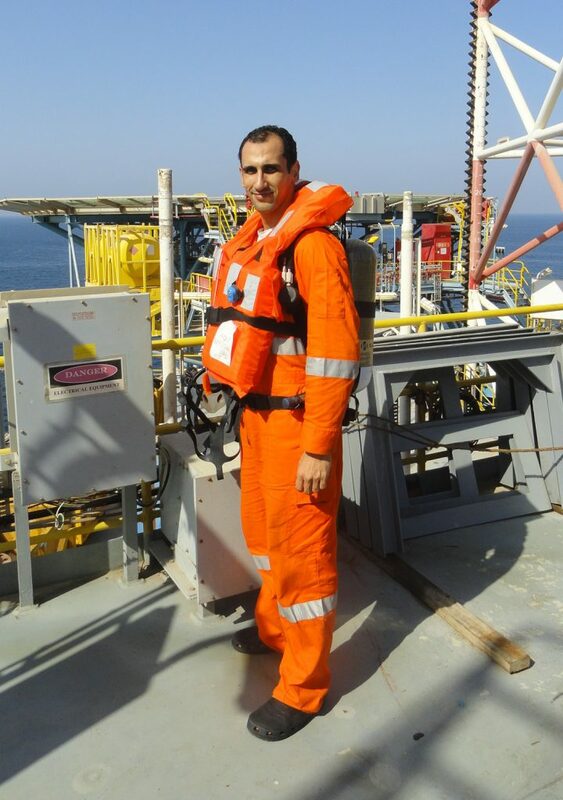 Ahmad working as an Offshore Emergency Doctor. 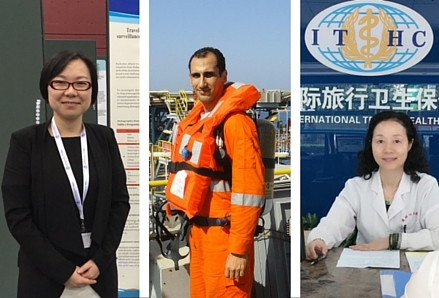 We are sponsoring five travel medicine scholars in 2016. In our effort to advance global health and travel medicine education, we award travel medicine scholarships to healthcare practitioners from countries where travel medicine is an emerging specialty. The IAMAT Violet Williams Travel Medicine Scholarship is awarded to an African doctor or nurse. The scholar studies in Johannesburg with SASTM. 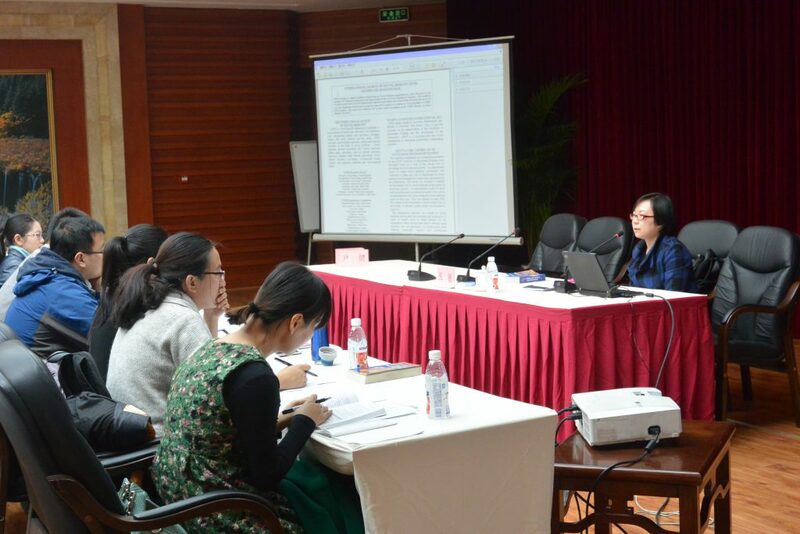 The IAMAT China Travel Medicine Scholarship is awarded to two Chinese doctors or nurses to study and train at UTMB. The IAMAT Stella & George Bryant Travel Medicine Scholarship is awarded to a doctor or nurse from South America, Central America, Eastern Europe, the Middle East, or Southeast Asia. The scholar spends five days studying travel medicine at the London School of Hygiene and Tropical Medicine (LSHTM) and another five days in clinical observation at the Hospital for Tropical Diseases. This program is made possible by the generosity of IAMAT members. Our scholarships are fully funded by donations.